Good kale recipes can be hard to find. 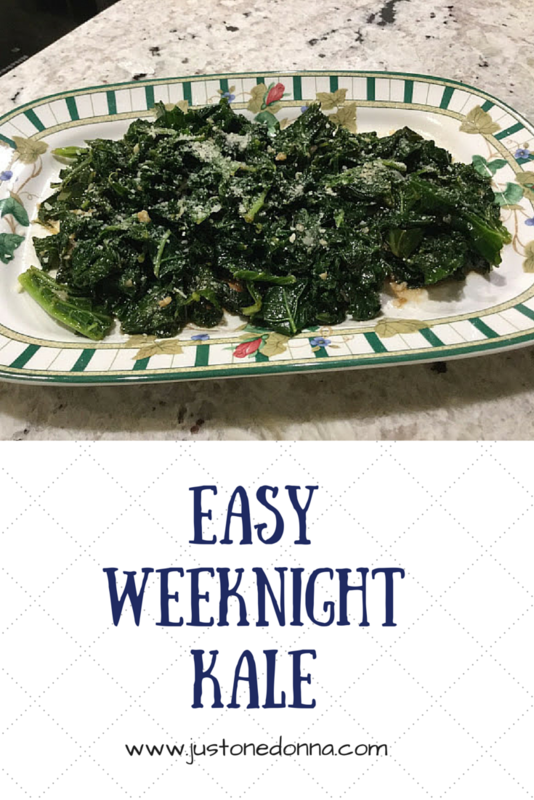 This simple, yet tasty kale recipe, is perfect for a weeknight dinner and winter is the perfect time of year for kale. This dark green, healthy vegetable packs lots of vitamins into one serving. It is easy to prepare and looks attractive on your plate. 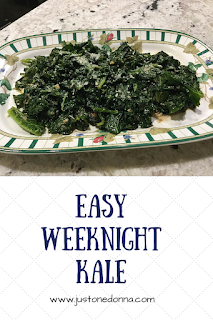 I recently served this simple, healthy kale side dish to balance out the heavy richness of a pot roast dinner. The kale was just the right accompaniment. This recipe is written for two servings, but you can easily double it. Buy crisp, deep green bunches of kale in the produce section of your grocery store. If you are in a hurry you can buy the packaged kale, but you will save money buying it by the bunch. Preparing the kale is quick. Just hold the leaf of the kale by the stem in one hand and pull the leaf portion from the stem with the other. It will only take a minute or two. Discard the stems or use them to make a vegetable broth for soups. Heat the extra virgin olive oil in a large skillet over medium heat. Add the chopped onion and cook until soft, about three minutes. Add the garlic. Cook for about a minute. Add the kale and chicken stock, tossing to coat the kale. Cover the pan and cook for 5 minutes. Stir in the balsamic vinegar, tossing to coat the kale. Cover, remove from the heat and set aside until ready to serve. Sprinkle with freshly grated Parmesan cheese before serving.